Asphalt Roofing Shingles Installation - Call us to save your roof! Call us to save your roof! We get it done quickly and efficiently. We at SRCG can meet all your roof repair needs including Asphalt shingles. Commonly used for roofing covers, asphalt shingles are inexpensive and fairly simple to install. Asphalt shingles are generally composed of a fiber glass mat with asphalt and other fillers. Granules are blown on to protect from UV rays and impacts. Once they are installed, on being hit by the sun, the adhesive on the shingles is activated and it seals the shingle together. 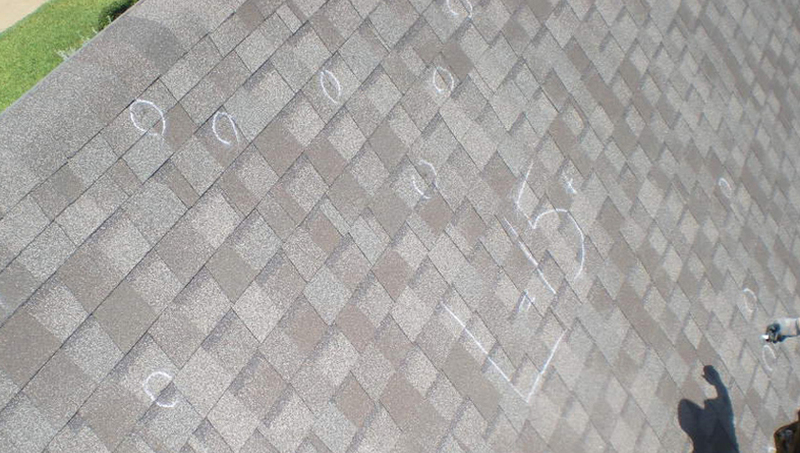 There are different life spans for shingles – from a 20 year shingle, all the way up to a lifetime shingle. With asphalt roofing shingles, there are usually two types of warranties that you can get; the first being the manufacturer’s warranty that covers product defects and the other warranty is usually from the contractor, which is a leak proof workmanship warranty, for a certain number of years. This helps customers through the repair of leaking roofs.